If your looking for a watch with extra wow factor then this is the one for you! 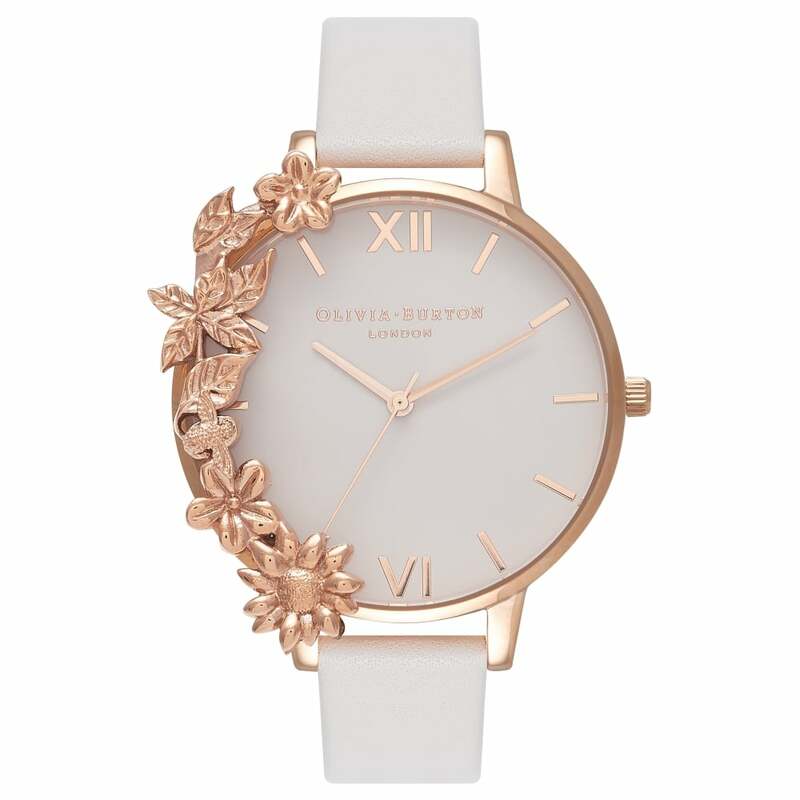 With a removable case cuff this watch delivers maximum impact whilst still channelling the neutral colours Olivia Burton is known for. With a delicate blush dial and soft leather strap this watch has understated details that really amplify the gorgeous case cuff. Wear it to compliment an outfit on a night out, or without the cuff for an everyday look.